This is the pattern for the earrings I showed in previous post, only text. I chose to tat the centre and the contour in 2 different colours. Start with one shuttle, Spiral ring: 1ds, 12tds. Left and right earring can be tatted symmetrically, depending if you post, or don't post, the shuttle inside the spiral ring before closing it. In my next pictures, I inserted the shuttle inside the loop around the hand. You should do yourself the other earring. Cut the thread if you like to change colour. 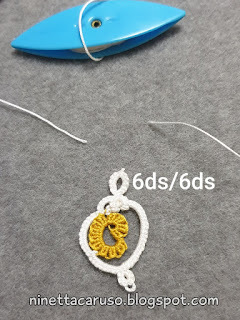 I wound 2 shuttles CTM with the white thread, then I made a lock join with one shuttle to the same hidden picot where I closed the spiral ring. I hid the tail inside the first stitches in next chain. 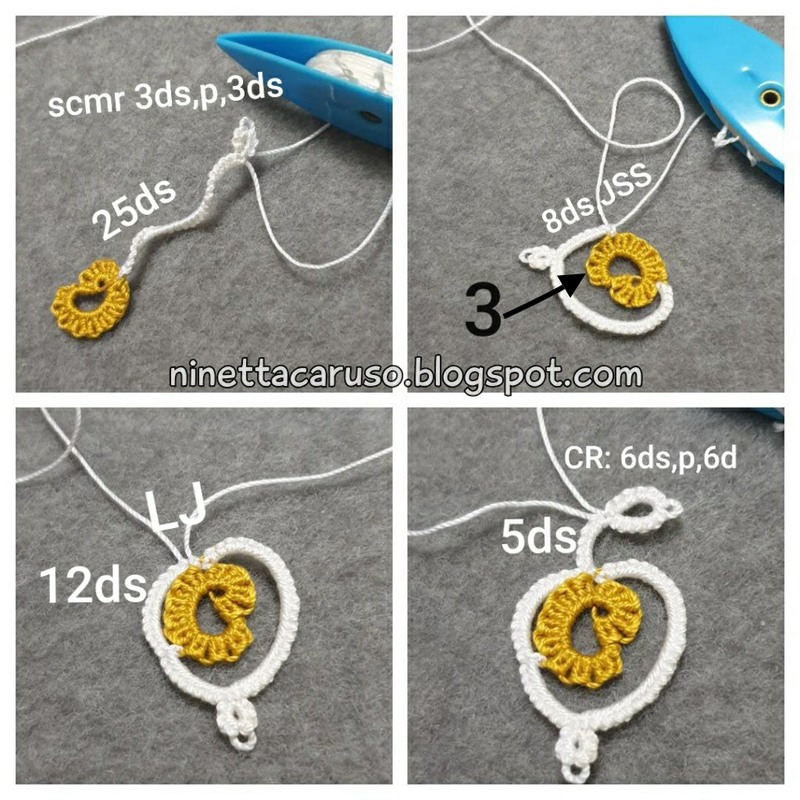 Mock ring: 3ds, picot (here it is where you can put a bead), 3ds. 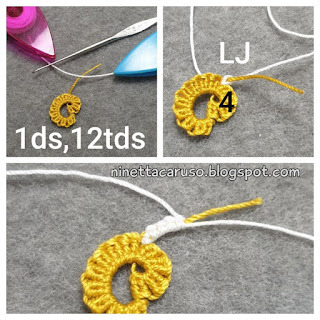 Chain2: 8ds, JSS (in the hidden picot of the ring, between the 3rd and 4th tds), 12ds, LJ to the starting point of this outer round. Curled ring: 6ds, picot, 6ds, close. 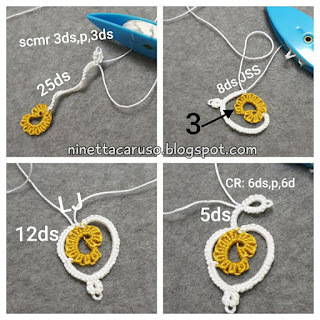 After that, I closed the curled ring around the Chain1 and ended the pattern finishing with an SSSR (Miranda's method) of 6ds/6ds. Thank you!!! I need a new pair for Valentine's Day! Such a beautiful and lovely! !